Originally, the spot on Washington Street was home to First Town-House in the 17th century. The building was used as the original town hall and home to the local government. However, the First Town-House burned to the ground in 1711. The following year construction began on a new building that would be completed in 1713. The new building would become known as the Old State House and would be used in the capacity as its predecessor. In addition to housing, the local government the basement was used as a warehouse and the first floor often featured a farmer’s market where locals could meet and trade for or buy items they needed. In 1761, James Otis argued against writs of assistance. Although he lost his case, many credit him as the first man to publicly take a stand against tyranny and unfair taxation. Nine years later, the Boston Massacre occurred just a few yards away in front of the Old State House. Lieutenant Governor, Thomas Hutchinson actually went to the second story balcony to address furious Bostonians who had just witnessed five of their neighbor’s deaths at the hands of British soldiers. In 1881, the building was being considered for demolition when developers swooped in wanting to buy the prime real estate. 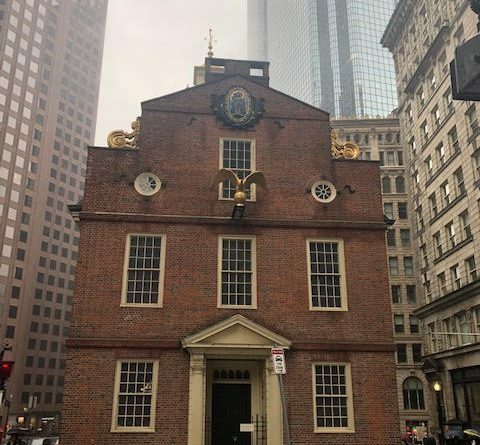 Locals banded together to form the Bostonian Society, and the Old State House was renovated and turned into a museum that still stands today. Despite its history, the Old State House isn’t considered to be haunted. However, something inside of it is-a cursed figurehead. In the early 19th century a ship crashed in Maine. The only thing that could be salvaged was the figurehead of a lady that was carved into the bow. It was given to the captain of another ship that also crashed in Boston Harbor in the 1860s. Somehow the figurehead survived without a scratch. After two sunk ships no one wanted the figurehead aboard their ship, so it was placed in a shop in town. Wouldn’t you know it, a few weeks later the shop burned to the ground. Somehow the figurehead wasn’t burned and was pulled from the building by firefighters. The figurehead was then donated to the Bostonian Society and put on display in the Old State House in 1921. Guess what happened next? It caught fire too a month later. Since then the figurehead has been put into storage and is no longer on display. 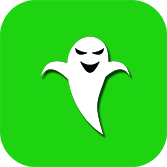 Be sure to download the Boston Ghost Map app in iTunes for only $1.99. There are over 40 haunted places around Boston to check out.